The Astana Arena was built to provide the city of Astana with a world-class modern stadium as part of the redevelopment of the city following it becoming capital of Kazakhstan in 1997. 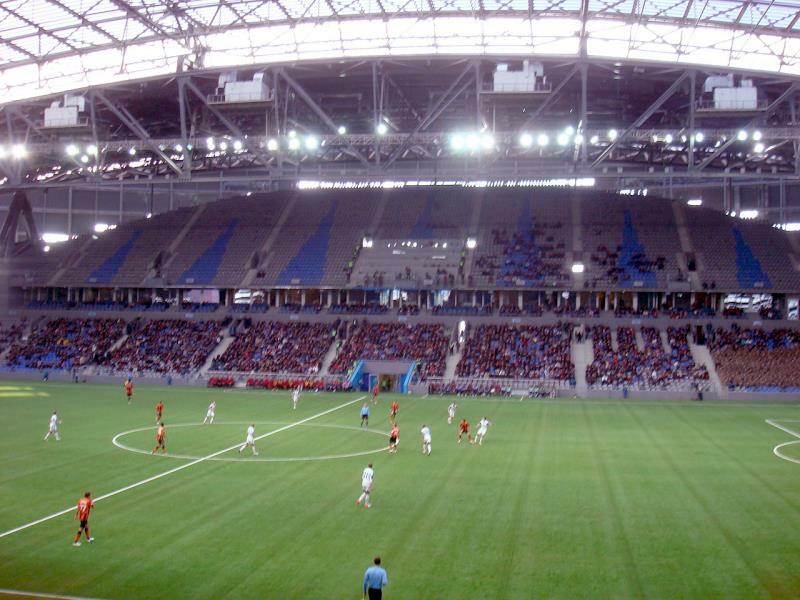 The Astana Arena officially opened on the 3rd of July 2009 with a match between FC Astana and a youth team composed of Kazakhstani players. The stadium has a sliding roof and an artificial pitch. It is also the standard playing venue of the Kazakhstan national team. The Astana Arena is located in the south of Astana at about 3 kilometres from central Astana with its axis of the Presidential Palace, the Bayterek Tower, and the Khan Shatyr entertainment centre. 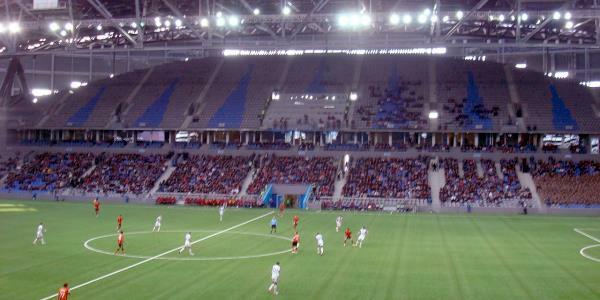 The stadium is located in between Turan Avenue and Kabanbay Batyr Avenue, which are two of the city’s principal avenues running south from the centre. Take a taxi or one of the buses running south along one of the before mentioned avenues to get to the stadium. Buses include line 10, 12, and 27. The Astana Arena is part of a sports complex including an ice rink and indoors hall. The area around the stadium is mainly residential and there is little around in terms of eating and drinking. The closest hotel to the Astana Arena is Astana Hotel, which lies about 1.5 kilometres north of the arena. There are more hotels around a little further north along the central axis. Click here for an overview of hotels near the Astana Arena and other parts of Astana. Tickets for FC Astana matches can be bought at the box office of the Astana Arena. Tickets typically cost about KZT 200.00. You can find a stadium map here. Fca.kz – Official website of FC Kastana. Zaproezd.kz – Astana public transport information.